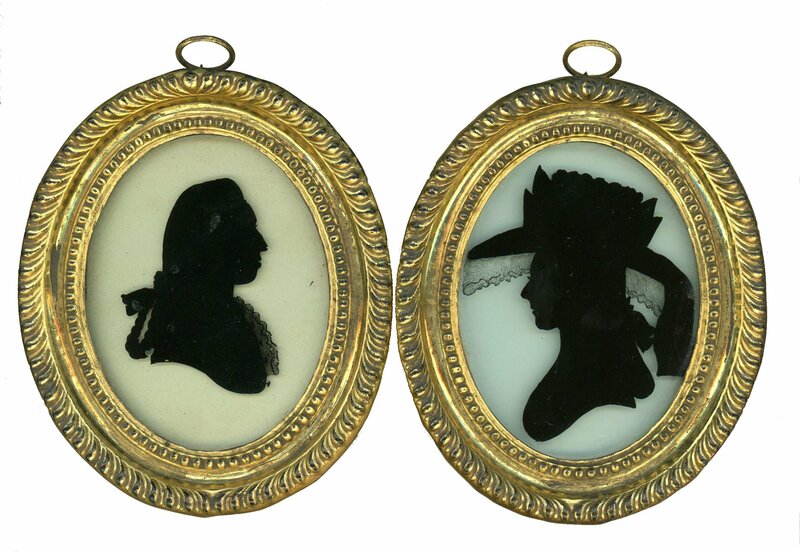 This is a rare opportunity to acquire an attractive and well-provenanced pair of silhouettes painted on glass by Richard Jorden. 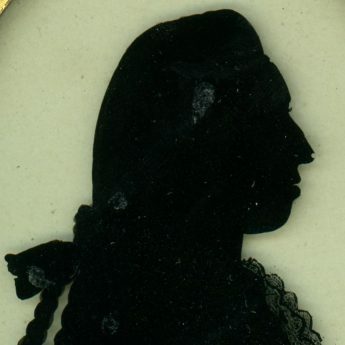 The unnamed gentleman is shown wearing a frilled chemise under a buttoned coat, his wig with a Ramillies plait where the plaited tail is doubled back and tied with a ribbon bow. 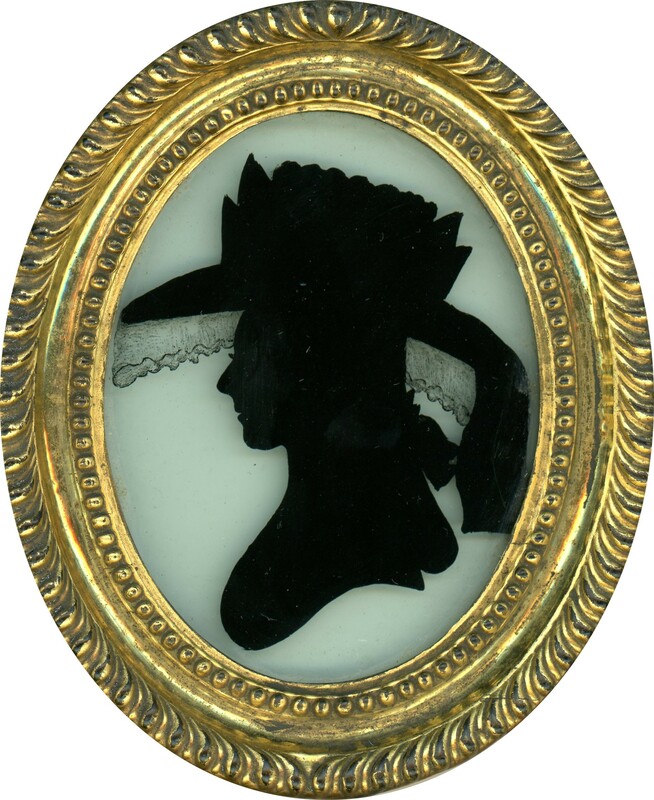 The elegant lady is wearing a stylish wide-brimmed hat trimmed with ribbons and with a delicate veil. 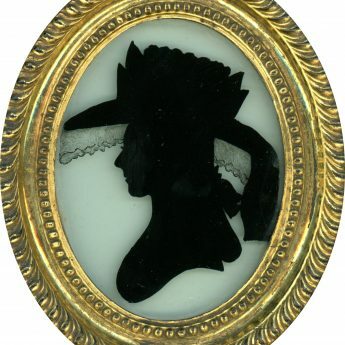 The silhouettes are reverse painted on flat glass and would have originally been backed with a second piece of glass coated with gesso. 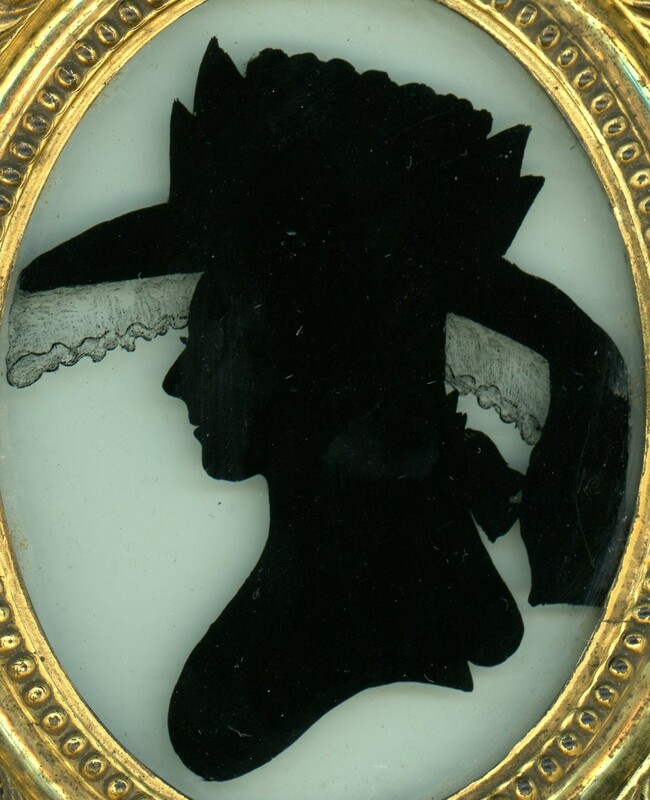 Only the lady retains the second piece of glass. On the gent it has been replaced by card as the second piece of glass was broken in two at some point. 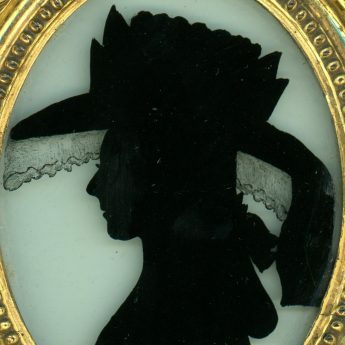 The damaged glass has though been retained within the frame. The gent has a couple of small areas of paint loss the most noticeable being to the tip of his nose! 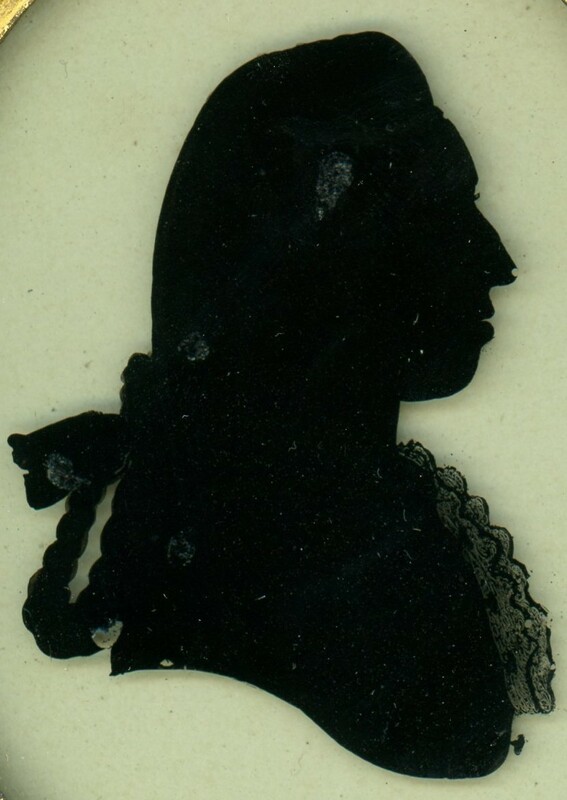 The lady appears to be in excellent condition. 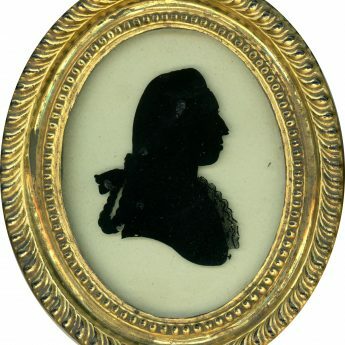 The silhouettes are housed in the original pressed brass fronted frames. 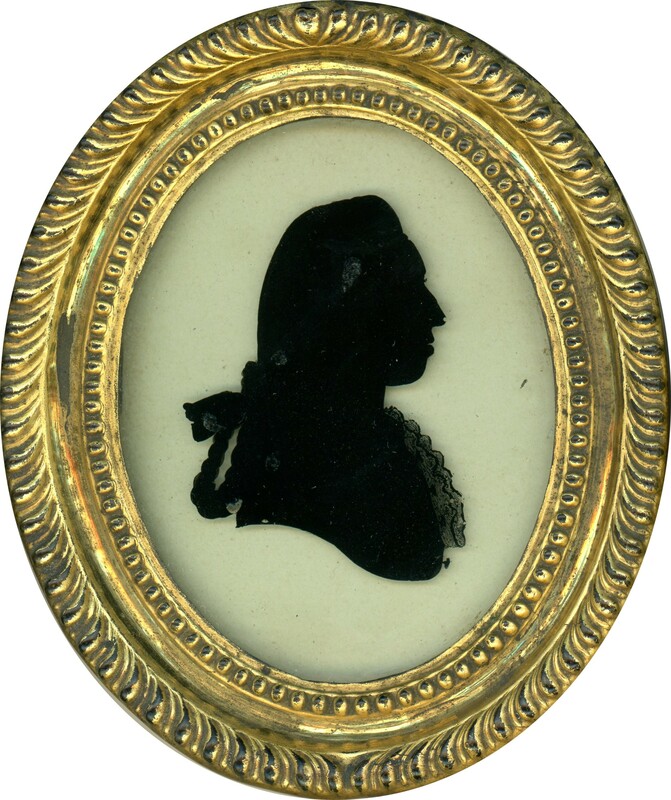 Little is known about the life and career of Richard Jorden (active 1779 – circa 1785) and his brother Walter who worked in and around the Welsh borders.